Delightful traditional farmhouse situated in its own grounds, dating from the 14th century, sympathetically renovated. Situated within walking distance of the Coast Path and spectacular views to be discovered including Strumble Head peninsula and lighthouse. Warm and comfortable for a holiday any time of the year. Ample parking within the grounds. No smoking within the farmhouse. Two en-suite shower rooms with wash basin & w.c. upstairs. One family bathroom with utility cupboard housing washing machine and tumble dryer on the ground floor. Large lounge/diner with tiled flooring, comfortably furnished with circular dining table, sofas, CD/Ipod player, Wi-fi, board games and open fire. The snuggery is a second lounge with Inglenook fireplace, wood burning stove, sofa, chair and television. Large fully fitted kitchen with traditional stone flooring, range of fitted cupboards with Aga, combination microwave oven, fridge/freezer, dishwasher. Priskilly 9 hole golf course is approx 8 miles away.Newport golf course is nearby. Notes on accommodation: The bedroom above the inglenook is accessed by a separate staircase and therefore provides extra privacy making it ideal for couples sharing, families with grandparents etc Outside: The farmhouse is surrounded with large private mature gardens with wonderful views across Fishguard Bay towards the Preseli Hills. Outdoor table and chairs are supplied and additional seating around the garden. BBQ. Ample car parking. Cleaning / Towels / Linen / Maid service: The property is cleaned for your arrival. Bed linen, tea towels and some cleaning materials are provided. Bath towels can be supplied at a cost of £3 per person. Please ask at time of booking. It's a very nice typical farm cottage with lots of space outside which was great for the kids. The cottage is very spacious and has everything one needs. This is an excellent holiday home. Couldn’t fault it. The house has been beautifully and authentically restored with plenty of space, and set within extensive grounds - really really nice. Never cooked with an Aga before but very easy to pick up and really great that it is always ready for instant cooking. We took our dog, it was perfect for him as the ground floor is fully tiled and the grounds were perfect for him. Pembrokeshire reminds me of North Devon but not as busy even in school holiday period, though probably not as much to do for children if the weather is bad. We were blessed with fab weather. Definitely consider staying again. Probably the best house and grounds we have stayed in. Thank you for your very positive review and we are glad you enjoyed the house and gardens. We also find cooking on the Aga very easy. We would be very pleased to welcome you again. Excellent, a pleasure to stay in the house besides all that the area has to offer. A wonderful location. Beautiful views from all the windows and the many benches in the garden. The dog slept in the outhouse, she thoroughly enjoyed herself in the fenced garden. Comfortable beds for all the humans. Lookup some agar lessons before you come. We would return if we get seven people together again. We are very pleased you enjoyed the house, its lovely views across the hills and sitting in the garden on the various benches and chairs. What a good idea to put the dog in the outhouse at night and hope it didn't feel too left out! We'll make clear for other people how easy the Aga is to use and there is an Aga book of recipes in the house.We look forward to you returning at a future date. thoroughly enjoyed our stay , the house was delightful, spacious and homely. 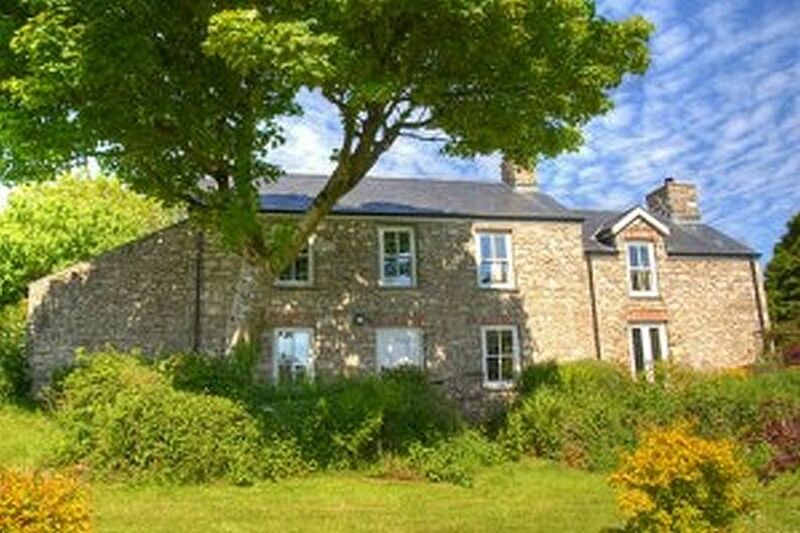 The house is in a great location for venturing along the Pembrokeshire coast. We are so glad you enjoyed your stay in our house and found it comfortable. As you say the coastal path is easy to get to from the house. We enjoy walks to Strumble Head lighthouse and then either getting the free minibus back or doing a longer circular route. We hope you visit again in the future. This is quite simply the best holiday cottage we have stayed in. It is extremely comfortable and furnished beautifully. Lovely gardens too! Many places to visit nearby and very handy for the coastal path. We hope to return one day. Thank you for taking the time to post your review and the positive comments. I am glad you enjoyed your stay and hope to welcome you again in the future. Farmhouse could not have been any better, the gardens and grounds were great for the kids and the dog loved it. Pembrokeshire has some great beaches and beautiful scenery, we will go back again. We are so glad you discovered the delights of Pembrokeshire and enjoyed our house with its extensive gardens. It's a great place for children to play hide and seek and make dens! We look forward tot you coming on a return visit. An easy walk 30 minutes past an 8th century church at Llanwnda,associated with the French Invasion in 1797 at Carrewastad Point, leads to the Coast Path. Popular with walkers, artists, birdwatchers and photographers. Often see porpoises and seals from the Coast Path and at isolated coves. Closest beaches are Aberbach and Abermawr (popular with surfers) pebbly with sand at low tide approx 15 minutes by car. The larger beaches at Newgale, Whitesands and Newport are about 30- 40 minutes away. The nearest railway station is at Goodwick approx 4 miles away. The ferry terminal is also at Goodwick for travel to Rosslare in Ireland. Cardiff airport is approx 2.5 hours by car. A car is recommended although there is a regular local coastal bus service. Hertz car rental is available in Goodwick. St David's, the smallest city in the UK (approx 18 miles) with its cathedral and Bishops Palace is well worth a visit, plenty of small shops and restaurants. Fishguard is the closest town for banks and supermarkets, small market on Thursdays and Saturdays, art galleries, coffee shops and a picturesque little harbour at Lower Town. Goodwick has a few shops and post office, places to eat. Tenby and Saundersfoot in the south of the county and Oakwood Theme Park are just over an hour away. Surfing, kayaking, coasteering, horse riding, fishing, golf, are just a few of the activities to be found locally. Pembroke Castle is just one of many ancient castles, churches, cromlechs, iron age forts - the area is steeped in history. There are many attractive gardens to visit and a trip to the Preselli Hills with its wooded valleys, streams, waterfalls that give way to moorland with wild ponies grazing and panoramic views across the Irish Sea provides a different perspective to the coastal areas of the county. The special light and clean atmosphere has attracted artists and craftspeople to this beautiful part of the world. Throughout the year there are music festivals, concerts and recitals in Fishguard, St Davids, Milford Haven and various other venues. A boat trip will take you to the islands of Ramsey, Skomer or Skokholm. Visit them in Springtime to see carpets of bluebells and other wild flowers and various sea birds nesting on the cliffs.